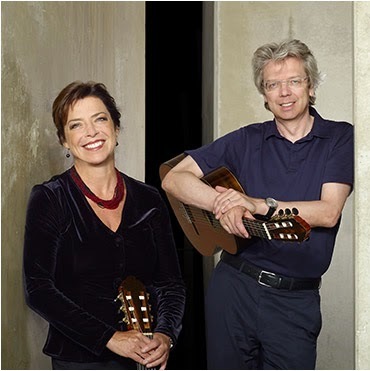 year of this very well put together classical guitar festival hosted by Professor Thomas Kirchhoff and Dale Kavanagh, two fine guitarists, partners as the Amadeus Duo, and married couple!! 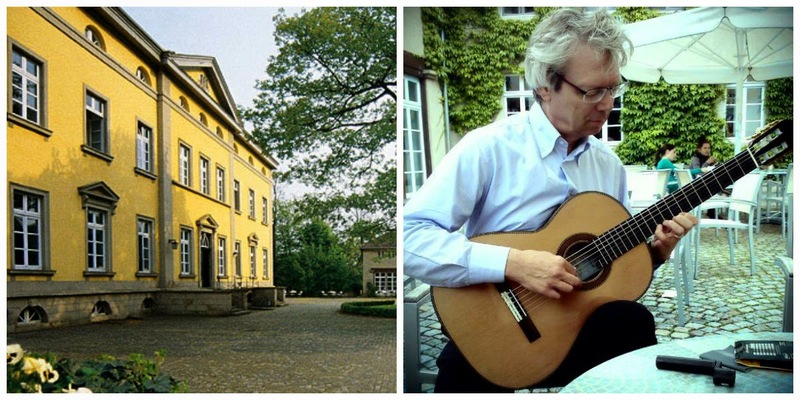 Though I've heard about the festival for years, I attended for the first time in 2013 and even sold a couple of guitars then, including one to Thomas Kirchhoff, the director. He is a great player and a very influential person in the guitar world, so it made a lot of sense for me to return this year. I'm very glad I did. day. Then in the evening everyone climbs into 5 buses and goes into town to the Big Church for the quite amazing array of concerts, with talent from all over the world. After the concerts we all pile back in the buses and return to the campus to hang out and celebrate the day, the evening, and tomorrow. Then we do it all over again. This festival has a long history, and Thomas runs everything with such a sure hand that it seems effortless, and with the incredible level of talent and accomplishment, very distinguished artists, and mind blowing up-and-coming young players, the whole event has the feeling of being the center of the guitar universe for a week — or a year. There is also an ongoing exhibition of guitar makers, many from Germany, but also from England, Bulgaria, China, Spain, Japan, Canada, USA (me) and others. The opportunity to see other makers work, and together mull over the joys and challenges of this special work is rare and special. The skill level is quite amazing, and watching and hearing a parade of virtuoso players trying out everyone's guitars and putting them through their paces is a wonderful opportunity. Also I met the folks from the German guitar dealing company Sicca, Manuel and Mirco, very nice guys from a very cool company. I will talk about Sicca more in a later post. The fact that the festival is so well established offers a remarkable sense of history. 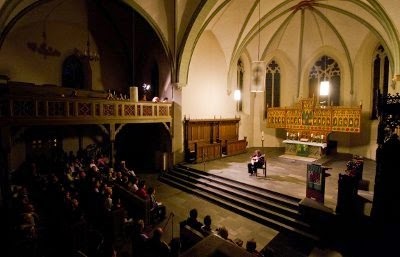 In addition to the artists booked for concerts and masterclass teaching, there is a core of established teachers who have been coming every year for decades, and have helped the students grow from very young into mature players who end up performing in the series, and going on to have distinguished careers of their own. World renown teachers like Bruce Holzman, Tom Johnson, Dale Kavanagh, Frank Gerstmeier — and many others who I haven't had the pleasure of meeting — return every year and give the students such professional and inspiring guidance that there seems to be emerging a whole new level of skill, a new generation of players eclipsing what we have thought of as virtuosity and musicianship. Concert artists this year are too many to list, (you can check it out on the website) and every single one deserves an article and recognition on their own. And because the campus is on the outskirts of town everyone is kind of trapped together, so in work and in play, all of this talent — teachers, students, artists, aficionados and visitors — all are mingled in the most stimulating and sometimes raucous ways. In our field of music it is actually impossible and unnecessary to distinguish between work and play, and there is no better place than the Iserlohn festival to experience the power and benefits and inspiration of both work and play!! Quartet, Pavel Steidl, Shingo Fuji, Chris McGuire, Joshia De Jonge, Hansen Yao and Jennifer Song, Adrian Azuelo, Jeremy Clark, Vicente Carrillo, Kuang Junhong, Hans Werner Huppertz, Serge DeJonge. And to all the people whose names or acquaintance I didn't get, what an interesting group of people!! Even without photos I can picture you all. 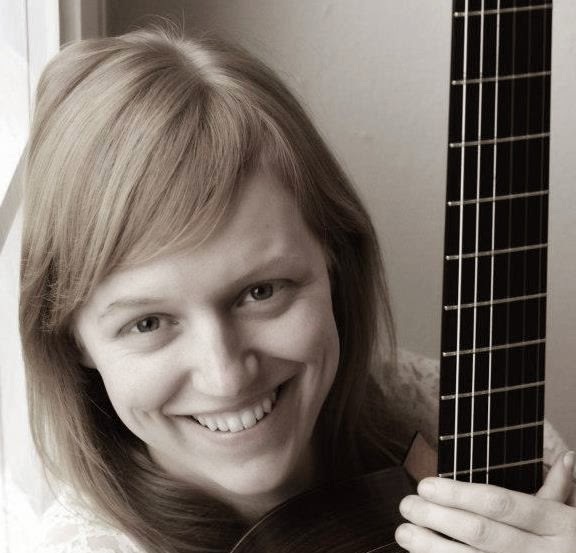 I want to give a special shout to Gillian Omalyev, who did so much to make things work day-in and day-out, and then played such a super fine performance in the concert in the church on the last night. Of course I payed especially close attention because she was playing on my guitar, but more important she played herself, beautifully and strong. I was very proud. And Thomas Kirchhoff. I've gotta give him credit. He's a force of nature. And he puts on a great guitar festival. Great culture, great party. And again to you all. May we remember and get together again! Thomas playing in the beautiful courtyard of Haus Villigst. 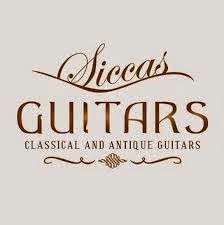 Take a look at our new friends over at Siccas Guitars.